The CEO of Kilopass, a developer of memory IP, talks about the problems of having a sales force for only one product. 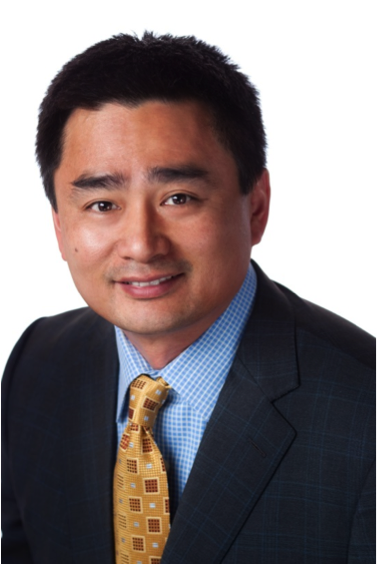 Semiconductor Engineering sat down with Charlie Cheng, CEO of Kilopass Technologies, to talk about his role in transforming the company. What follows are excerpts of that conversation. SE: Can you talk about your existing product and its evolution? Cheng: The founders discovered a new type of [Non Volatile (NVM), One Time Programmable (OTP)] memory and protected it with a number of patents. The first application they considered was that it could replace EPROM (Erasable Programmable Read Only Memory) or fuse/antifuse types of memory. As a chip boots up, the contents of the EPROM provides the chip with personality or performs calibration. This is all fine and good, but its contribution is limited. At 120nm when the company started, to 45nm when I became CEO of the company, the size of that IP is diminishing and customers are wondering why they are paying as much for it. There are companies that use flash outside the chip for some really large software and I asked, ‘Can we bring that function into the chip?’ Ultimately, you are looking for additional ways in which you can add value from the same set of patents in order to derive additional economic value. SE: What are the tradeoffs in the non-volatile memory market? Cheng: NVM is a tradeoff between cost and flexibility. You have a lot of flexibility, such as how large you want it to be, how fast it is, and how many times it can be erased. These decisions have implications for the applications. External memory is expensive and issues such as packaging thickness, package complexity, form factor and power have to be taken into account. The lowest-cost competitor is ROM. It is proven, no risk, but it has to be done at mask level and cannot be personalized. Our bit cell, which is one-time programmable, takes two NMOS transistors. If a more general solution takes 10 times the area, then we could be programmable 10 times for the same area. Embedded flash is about 10 times the size per bit, so we can provide a “few” times programmable where the user is free to choose how many times they need. For a 10mm square die, typically the embedded NVM is less than 1mm square. So putting in 10 times programmable is not that big a deal. This enables program updates to be made. In addition, making the decision to use embedded flash will require 10 to 15 additional mask layers, making the chips a lot more complex. SE: Does 2.5D technology change the equation? Cheng: 2.5D comes with a different cost structure. With NAND flash, density is an issue, but if you require a gigabit of it, then there is no better technology. Cheng: As a CEO I get paid to find a way, other than M&A, to provide a successful exit for the company and its investors. That means we have to find a second product, an innovation where we have a better way to negotiate economics with our customers, a better way to partner and a better way to leverage our sales force. Sales are extraordinarily inefficient, in part because they can only sell one product. The semiconductor IP business suffers from this multiple whammy of globalization and commoditization. Because of globalization, things that can be done in a less-expensive location will be done there. This has created a lot more offshore competition, and these places have a lower cost base than I do. This is true for every industry, not just for us. In addition, the semiconductor industry has a 35-year honorable tradition of giving customers a 12% discount every year. This compresses the economics. Our customers are affected in the same way. They are expected to give those discounts to their customers. This has nothing to do with if they can afford to or not, if they need to or not. When you couple this to a natural force of commoditization and you consider the disparity between us and some of our larger customers — we are 1,000th the size of them — they have incredible negotiating power. SE: Your memory is advertised as being secure. Is this going to be a big factor in the IoT? Cheng: There is a lot of awareness about security, but the number of people who have to sign up to create a protection scheme, such as using secure memory, is daunting. We have tried it. The cable business did get serious about it because every cable breach costs them $100 per month. This is why you can’t buy a cloned box anymore. If you are developing an LTE modem chip for a mobile phone, it is impossible to get everything right. The critical path to tapeout is firmware. We have already talked about ROM being the cheapest solution, but the second cheapest solution is OTP memory. Many of them will use 1 or 2Kb or ROM and then perhaps 1/2Kb of OTP. This allows them to burn in the final part of the firmware during chip test. While this is not the normal way today, it is starting to become the preferred method. We were not ready for 3G, so we missed that opportunity. With LTE, we have one company dominating the market and this allows them to decide what LTE looks like, not the customer. But they have to be able to personalize their chips for each carrier depending on geography and usage. Cheng joined Kilopass as CEO in October 2008. His career spans more than 10 years of experience in the semiconductor IP industry and an additional 15 years in the global technology marketplace. Prior to Kilopass, he served as vice president of marketing and international business at Faraday Technology, he was co-founder and CEO of Lexra Inc., an embedded RISC CPU IP company. He began his technology career at General Electric and IBM, Aspec Technology, Iomega, Zycad and Viewlogic. He holds a BS degree in Computer Science and Mechanical Engineering from Cornell University. He also completed the Executive Management Training Program on Leadership at Carnegie Mellon University.